Time for a new Challenge over at Tiddly Inks.. Remembrance or Honour, which will more than likely get you to thinking, it certainly did me. And, in the words of Forrest Gump... that's all I have to say about that. 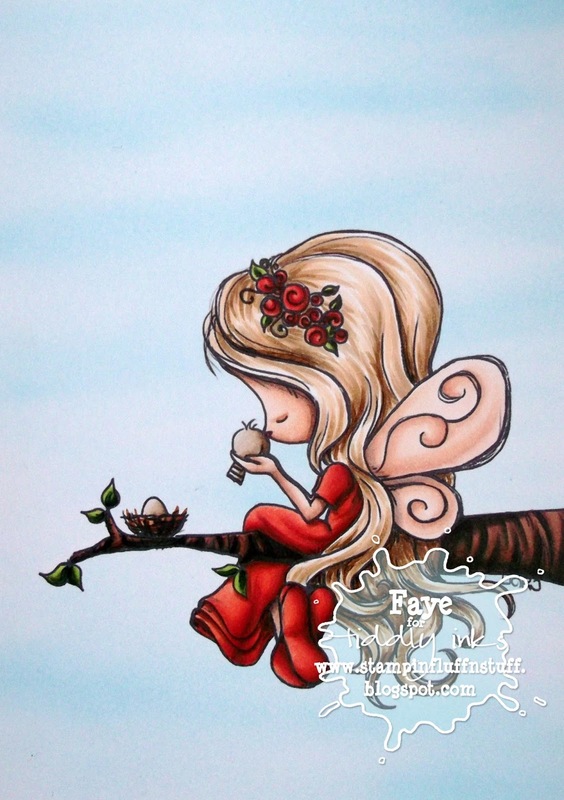 This is so beautiful Faye.. your colouring is absolutely stunning, as always - and I love the simplicity of the design - perfect! Now Forest Gump... aww.. remember at the start of the film he sits on a branch with 'his Jenny' talking about how they go together like peas and carrots'.. I suspect if I sat on a branch I'd end up in a big heap of peas and carrots on the floor!! LOL! 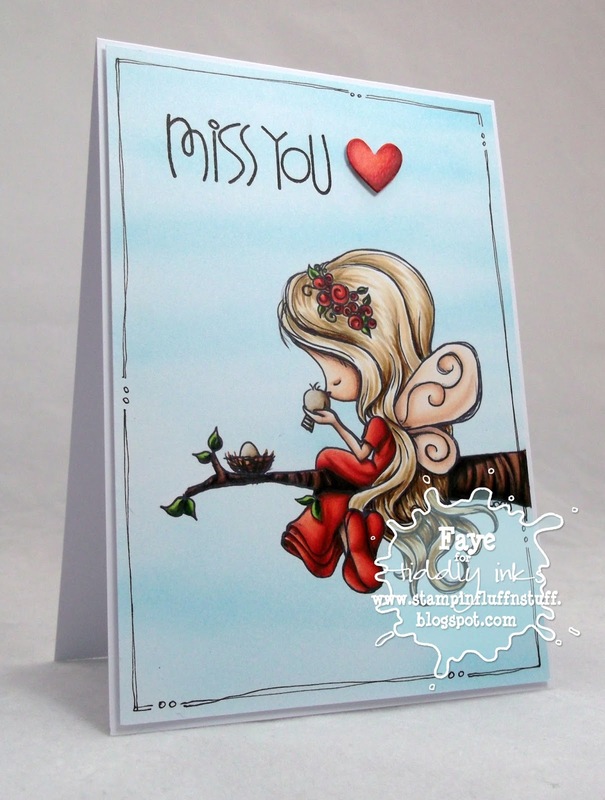 Such a sweet image, stunning colouring and perfect CAS design. This is absolutely stunning. GOrgeous. This is gorgeous Faye!! Love your coloring!! Love the sentiment with the little heart by it.. And your doodling is amazing!! WOW!!! I love this Faye, gorgeous!! Totally adorable!! All the red really pops ...and that beautiful blue sky ...gorgeous!! Beautiful! I love the design, especially the sentiment and the heart. Absolutely tremendous Faye. Love love love this. Beautiful card Faye. Perfect sentiment for the wonderful image. Your coloring is awesome as always. This is absolutely darling. Nice work on the sky and little girl! What a darling card Faye. The coloring is still amazing... love the doddle frame!